We rubbed this boar’s nose recently and popped some coins in the slot. 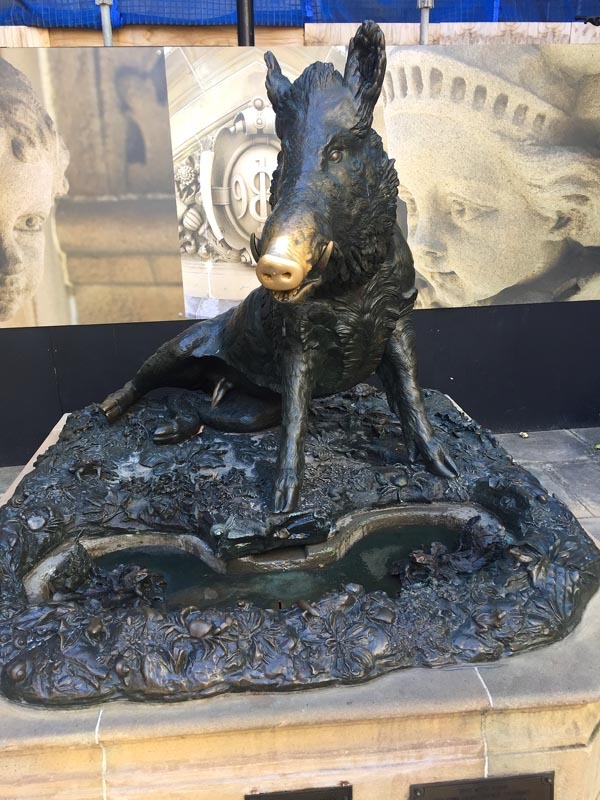 This rococo sculpture was donated to Sydney Hospital by Clarissa Torrigani to commemorate her doctor father and brother who had worked there – it is described as the Wild Boar Fountain of Good Luck. It’s just down Macquarie Street from another cute little artwork: Matthew Flinders’ cat, outside the State Library.